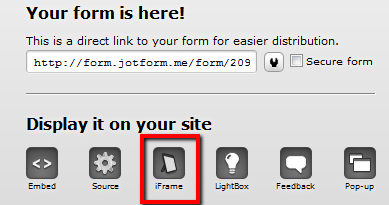 Please try to re-embed the form using iFrame. I have tried it with my own site and seems to work fine, month displayed in Portugues. Thanks for your reply. I tried embedding using iFrame but there is an issue: the lenght of the iFrame is fixed. My form is multi-page, if I set the lenght of the iFrame to the lenght of the 1st page (wich is the longer page), the other pages dont look good because the iFrame is much longer than the actual page. Sorry for what this issue has caused you. Unfortunately, it is not possible to change the Calendar language (date). However, it is possible to change many of the messages including the fields names by first selecting language before starting to design any forms. The laguage translation feature will not translate the lables of the already created form prior to the change. Hope this information is helpful to you.Thanks for using Jotform! Thanks for your reply and clarifications. However, our business is using JotForm for 2 thing only: customer registration form (most important) and client satisfaction survey. The reported bug takes place in our customer registration form and most of our customers speak portuguese only (not many brazilians speak english). So if the form can't be translated to portuguese, it is of no use for us. Could you please change the language of this form or try to find another solution for this? After doing some tests, I have translated the default language of your account to Portuguese from English. This changed your form's month values on the date field to the default language of your account. Will this work for you as is? In order for you to accomplish the calendar in portuguese, you would need to download the source code of your form and embed it into your page. 2) Now click on the item "You can also download a compressed and refined version with seperate .css and .js files from here". In addition to Jeanette's response, I checked your account and it seems that you have returned your account's language settings to English. As I stated on my last post, if you wish to change the values of the date to Portuguese, you will need to change the language settings of your account to Portuguese. You can either do this, or you can follow Jeanette's instructions.